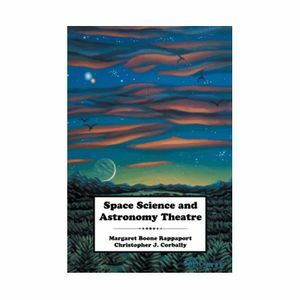 Get ready to be entertained and informed with newly published and innovative, Space Science and Astronomy Theatre. Are you a teacher, parent struggling to get youngsters, young adults or an inquisitive student interested in space science and astronomy? This fun-filled book of theatrical scenes using role playing is just right for you! In addition to astronomers and astronauts, the scenes also feature engineers, accountants, graphic artists, public relations practitioners, biologists, meteorologists, and others who play a critical role in space adventures. A cosmologist and a computerGI145 graphics artist are preparing a presentation for public television on theories about the distribution of galaxies in the universe, and the placement of voids where no galaxies are found. An astrobiologist and an engineer discover the first positive biosignature data from an exoplanet near Earth. The findings provide a big surprise. Two recent high school graduates explore a star factory (nebula) in the constellation Orion, and using a video arcade game, they make speculations about the future. While the props and costumes needed for scripts are minimal, the scenes promote deep learning.